Countries not shipped to include: South Sudan, Palestine. Click the button on the website of each product then you can see if this product can be delivered to that destination country. We have 4 different shipping methods: unregistered, registered, priority line and expedited shipping. In addition, the standard shipping can reach the majority of countries, while the priority line can reach most of the main countries, below are the estimated shipping times (Hong Kong and our Warehouses). The price depends on the weight of product, the origin, the destination, the shipping method and warehouses, and other considerations. Detailed pricing information is visible when placing an order. 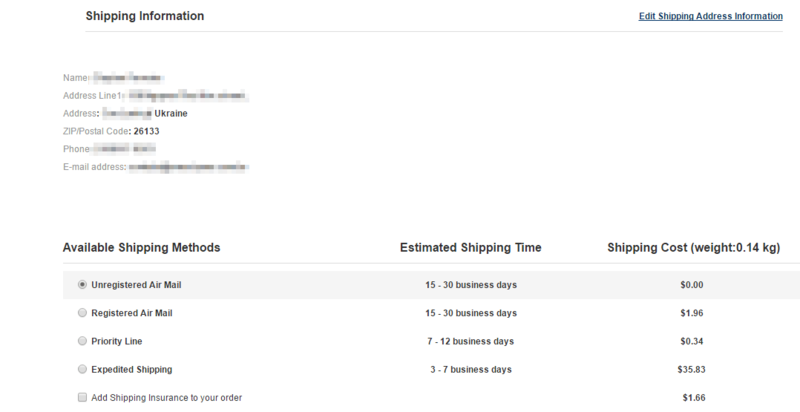 Choose the correct destination and warehouse, then select the shipping method, to obtain an accurate shipping cost.